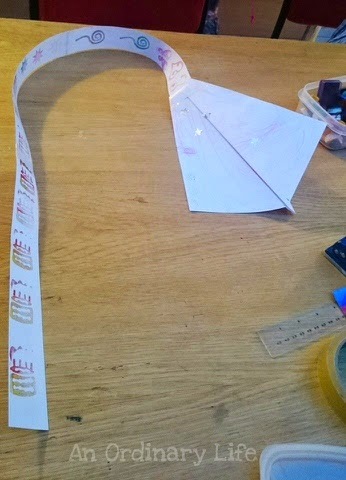 This kite is much more simple than the sled kite design, I worked on with my girls nearly a couple of years ago now - it also involves less complicated maths; it is a great kite for younger children to make. It still flies we'll just more like 10 - 15 metres high as oppose to the sled kite that I believe reached 100m when my eldest, now 12 years old, made hers a year or so ago! 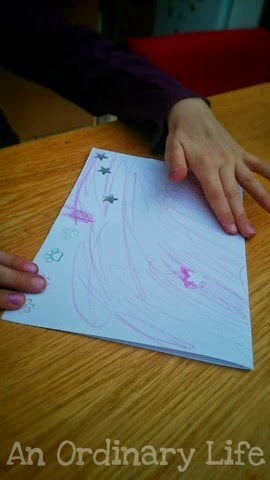 Decorate your piece of A4 paper on one or both sides. This is optional but fun. Fold your A4 piece of paper in half. 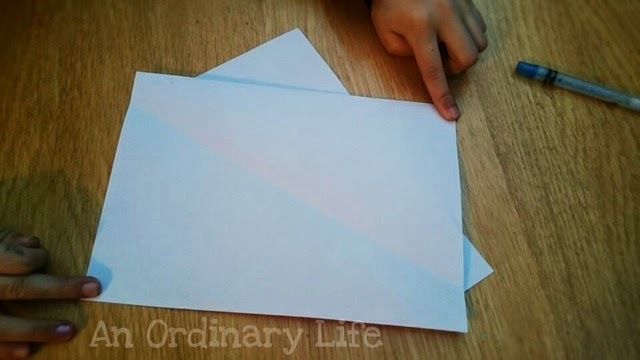 If you only decorate one side fold the paper so you have it blank side out. 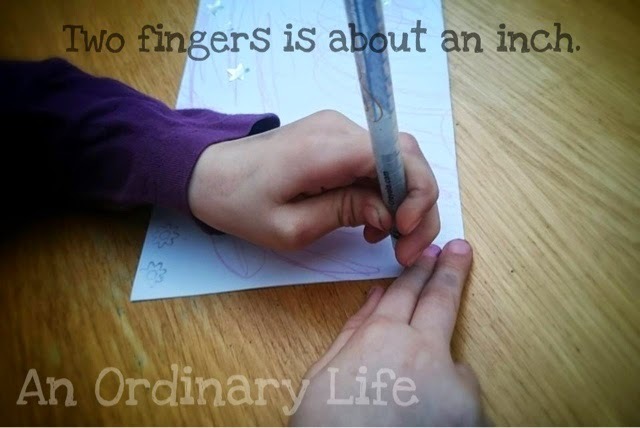 When the paper is folded, measure an inch from the top right corner, then an inch from the bottom right hand corner. 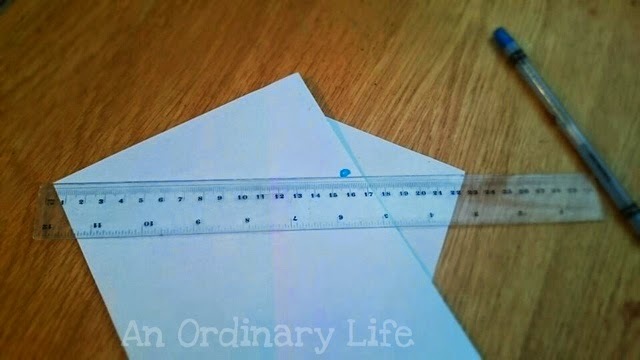 Using a 30cm ruler draw a line from one mark to the other. 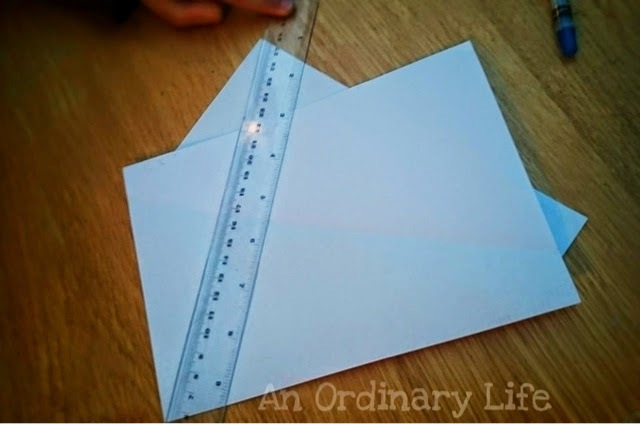 Using the ruler as a guide fold down the line you made. Using a hole punch, make a hole where you drew the dot in STEP EIGHT. 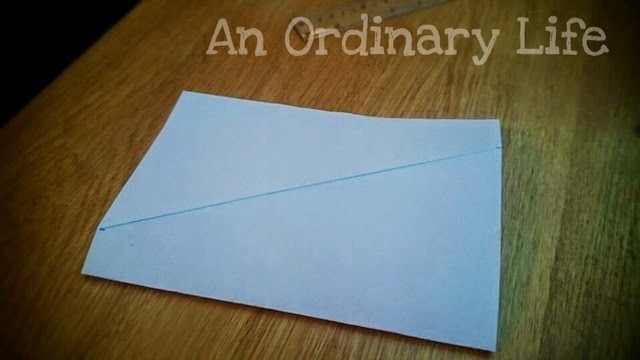 Cut three or four strips length ways from another A4 piece of paper that's 3 cm thick. 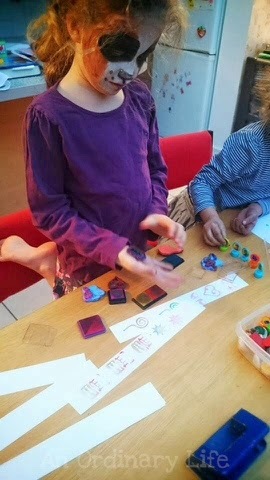 Decorate them if you like! Through the hole you made in STEP NINE, attach your string with a double knot. YOUR KITE IS MADE YOU ARE READY TO FLY!!! 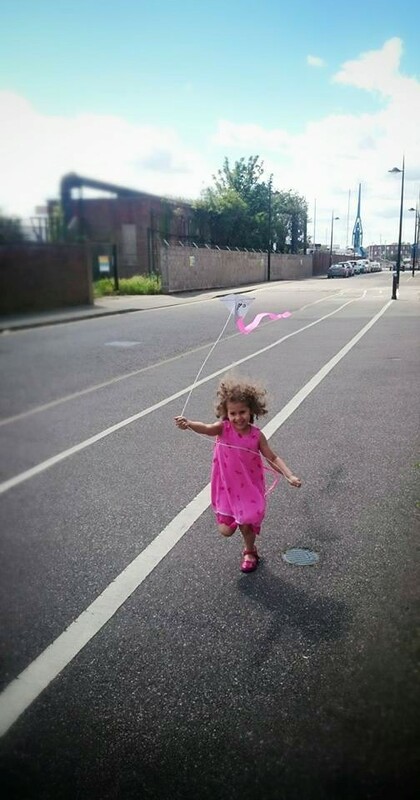 As someone runs with a kite, the wind going head-on into the kite causes a lift force on it. This force is vertically straight to the wind, pushing the kite up. At the same time, the force of drag pulls the kite back in the direction that the wind is going and that is what makes your kite take off! Drag is made by wind resistance on the kites surface (the sail and tail) and can also be the caused by turbulence from behind the kite. Gravity is the downward force that is created by the weight of the kite. Thrust is the power of the wind that creates lift. Enough lift to overcome gravity and drag. 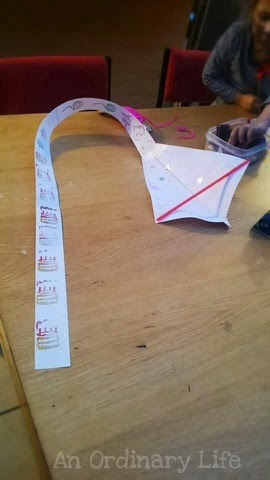 Lift, drag, gravity and thrust come together when flying a kite to a central point called the centre of pressure. The centre of pressure is where we tie the flight string and is called the tow point. To learn more about how a kite works, go to my post: How does a kite fly? 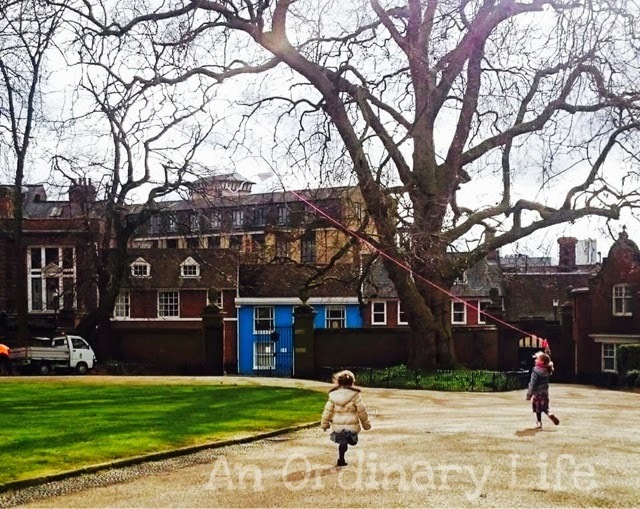 For the older children or those who wish to be challenged more there is a link here to my sled kite design that flies super high if you're careful when making it. 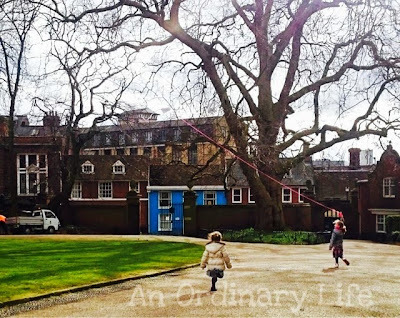 How it works can be found in my post: How does a kite fly? Thanks for sharing this post. I just buy a kite hand pumps And the work very good.